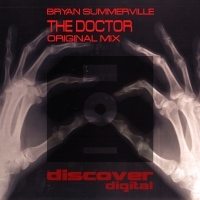 Bryan Summervilles Discover debut "The Doctor" delivers hypnotic stabs and driving bass from the very start. The Psy influence cannot be understated with melodic toplines that come to the fore as the breakdown drops with a bang. Vocal samples puntuate throughout in what can only be described as a storming label debut. 'The Doctor' is available now from Beatport and iTunes.